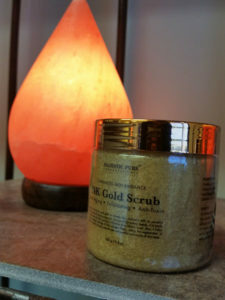 Enjoy the Benefits of Himalayan Salt Therapy at Home. In addition to the benefits you’ll find in our salt cave, you can experience the benefits of Himalayan salt in your own home. 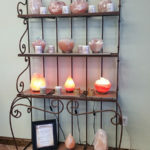 We offer a variety of Himalayan Salt Lamps for purchase as well as a selection of essential and CBD oils. Salt lamps trap indoor air pollutants such as allergens, mold, and bacteria. They balance positive and negative ions which reduces airborne infections well as radiation. Salt lamps provide a wide array of health benefits and may also improve mood and promote sleep. The warm glow from the lamp is very calming and can lower stress and anxiety. Essential oils can have many mentally, physically, and emotionally healing benefits and effects. These wonderful multi-purpose scents are made of concentrated plant components that provide an array of uses from cosmetic to spiritual and more. Our oils are made of high-quality, therapeutic-grade oils and their proper use can bring about many positive results. Essential oils can help purify your home, purify your life, and purify your spirit by enhancing your physical and mental well-being. CBD oil is hemp oil that is made from high-CBD, low-THC hemp. These oils are non-psychoactive and react naturally with our body’s systems. It is a safe, non-controversial oil that contain many health benefits. CBD is known to regulate the body’s homeostasis – general state of balance – which then impacts mood, sleep, appetite, hormone regulation, and pain responses. It essentially keeps the body ‘level’. The salt therapy was really good. I was able to breath so much better after I left. I plan on going again.